1 image. 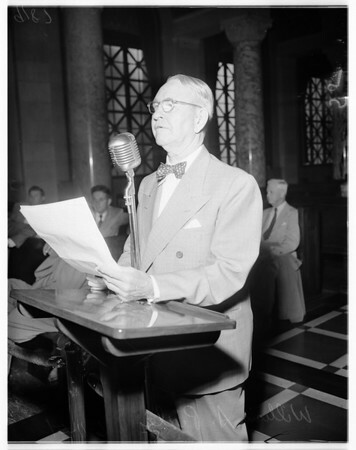 Budget hearing (city council), June 11, 1951. William A. Pixley (of property owners association).